With less than a year to go until the March 31, 2019 divorce date for the United Kingdom (U.K.) and the European Union (EU), one would be forgiven for thinking there would already be a plan in place to deal with an event that will have such a profound global impact on all aspects of life, including the pharmaceutical industry. However, despite significant developments since I last wrote about Brexit, the uncertainty that I discussed remains. At the end of March 2018, it was announced that the United Kingdom and the EC Council were ready to move on to the second phase of Brexit negotiations. This news was welcomed by the pharmaceutical industry, particularly as the U.K. and the EC agreed on a 21-month transition period that will begin after the March 2019 Brexit divorce date and last until the end of 2020. During this period, the U.K. is expected to negotiate new trade deals, while still maintaining the status quo on its old trade deals. This is particularly crucial for the management of supply chains in the U.K. and EU pharmaceutical markets, as the U.K. exports an estimated 45 million medicine packs to the EU each month and imports 37 million. Over 2,600 medicines are manufactured in the U.K., and many of these are then sold throughout the EU. The U.K. is a crucial element in the European pharmaceutical supply chain, and Brexit has been a great disruptor. Worryingly, news has leaked that the two previous post-Brexit options that were being discussed by Prime Minister May’s cabinet (customs union and the maximum facilitation partnership) have both been abandoned in favor of a piecemeal approach that will have to extend some customs rules beyond the end of the transitional period. This is unlikely to be accepted by the EU, which has made it clear it would not approve of a “cherry picking” approach. Based on information the EU has released, it seems that the EU still believes the U.K. will become a “third country” after the split, a country not party to the European Union or the European Economic Area. At the end of the day, it seems impossible that the U.K. will achieve a deal that is equal to or better than European Union membership, and time is running out for PM May and her cabinet to salvage what they can. 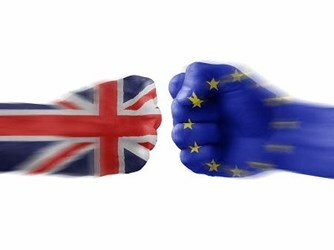 In April, the Ethical Medicines Industry Group (EMIG), a membership organization for SME pharmaceutical manufacturers, released the results of a Brexit survey of its members. The survey findings showed that small and medium pharmaceutical manufacturers were particularly concerned about Brexit, with 70 percent having “little to no confidence” in the U.K. government’s handling of negotiations, and a majority believing that the government will fail to negotiate a good deal. Most respondents believe that Brexit will result in an increase in prices and delayed access. SMEs are understandably concerned, as they do not have the same capabilities as larger pharmaceutical manufacturers to prepare for Brexit. For example, GSK has estimated it will spend £70 million ($100 million) on the Brexit transition over a three-year period. Companies must choose between spending the money to prepare for every eventuality or taking calculated risks and falling short. In her March “Road to Brexit” speech, Prime Minister May confirmed what some had speculated, and most in the pharmaceutical industry had hoped for, stating that the U.K. wants to explore the terms by which the U.K. could remain part of critical EU agencies, including the EMA. She also stated that the U.K. wishes to make sure that the British and EU regulators maintain a close working relationship. She was cognizant of the fact that not being a member of the EMA could mean access delays for U.K. patients, and she spoke of “frictionless” borders to mitigate negative impacts on supply chains. It seems that PM May was basically suggesting that the U.K. become an “associate member” of the EMA — a new concept for the agency — and apparently inferring that this would involve abiding by the rules of the EMA and making the appropriate financial contributions. It is unclear whether this would be feasible in legal practice, as the U.K. will presumably be leaving the single market, and the U.K. parliament will have the ultimate right to accept or reject EU legislation. It is unclear whether this will be a deal-breaker for the EU. The EU’s chief Brexit negotiator, Michel Barnier, was coy in his response, but welcomed the clarity offered by Prime Minster May’s speech, as well as the acknowledgement of tradeoffs. Donald Tusk, the president of the European Council, was firmer in his dismissal, stating that “the EU cannot agree to grant the U.K. the rights of Norway with the obligations of Canada … a pick-and-mix approach for a non-member state is out of the question.” However, many are hopeful that it is still possible to agree on a deal, as negotiations continue. Ultimately, even if the U.K. is willing to make the necessary concessions — such as renouncing the U.K. parliament’s right to reject EU pharmaceutical laws and agreeing to the European Court of Justice’s jurisdiction on pharmaceutical matters — it remains unclear whether the EU will be able, or willing, to grant access to the EMA regulatory system to a country that is not part of the European Union’s single market. As we wait for the final round of negotiations to begin, and PM May wrestles with the House of Lords and the Scottish parliament over Brexit legislation, no one can blame the pharmaceutical industry for being nervous about what March 2019 will bring. The U.K. government has promised a white paper to be published ahead of the June EU summit that will include "detailed, ambitious, and precise explanations of our positions," according to Brexit Secretary David Davis. Critics would say that to explain a position, one ought to have one, and it is not clear that this government does yet. Furthermore, while we know that it will cover broader things like customs and more specific things like aviation, it’s unclear whether subjects like market authorization will be included. Pharmaceutical manufacturers still seemingly have to prepare for any possibly scenario, but they can continue to hope for clarity. Yulia Privolnev is a manager on the Global Market Access Insights team at Decision Resources Group (DRG). She is responsible for monitoring, analyzing, and reporting on global market access through the production of DRG’s Global Market Access Solution (GMAS) and Access & Reimbursement (A&R) products. Privolnev's specific focus is on all aspects of market access in Western and Eastern Europe, as well as international reference pricing (IRP) and managed entry agreements (MEAs) on a global scale. She earned her M.A. from the London School of Economics.